No sooner has I announced a new version of our checklist, but I had news of two more stamps which were not included! 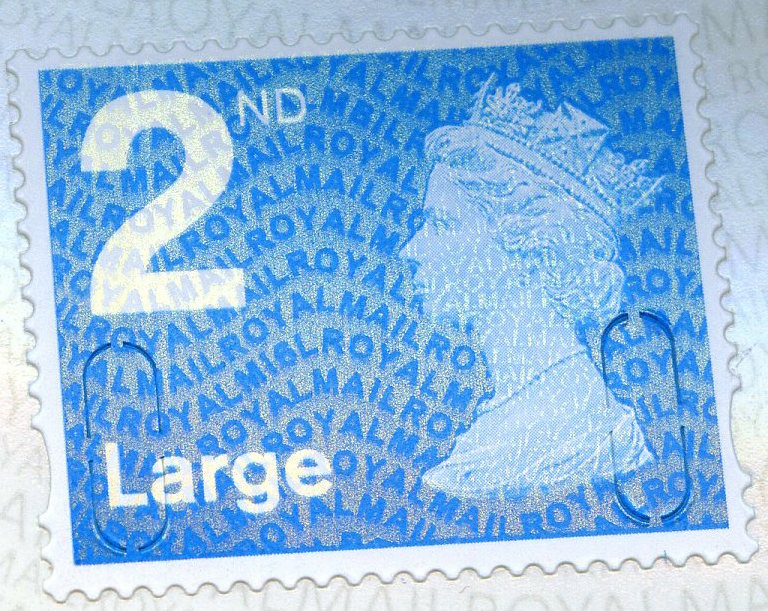 The next update will be near the end of the month after the stamps from the Queen's birthday issue are available. I was reminded that the 1st x 12 booklet with year code M16L appeared while I was away in Sussex last month, so I am making arrangements to get some of these next week. But the real news is that the 2nd Large Business Sheet has also appeared, and this has year code M16L rather than MA16 as might have been expected. The printing date is 11/02/16, and we should have these in stock next week (although due to a long weekend break they won't be despatched until 28 April). 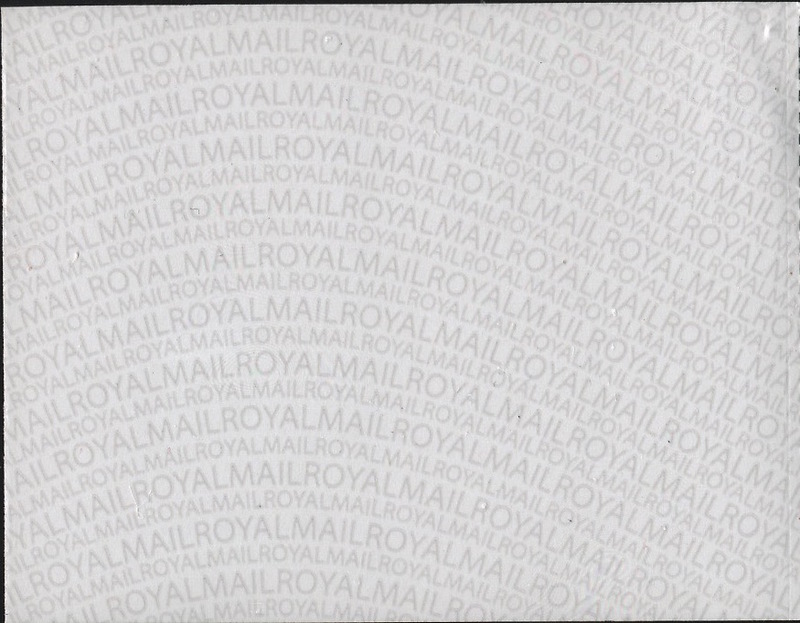 The US weekly, Linn's Stamp News, recently mentioned the latest developments and described the new feature as being 'printed diagonally on the backing paper'. Well, we know that that is not quite true, and this image demonstrates it more clearly. Booklets of 4 and 6 (except the mixed booklet) have either a blank or printed label on the inside front cover. Removing this (the blank ones are useful for recycling envelopes) produces a large example of the security printing, as shown above. I have a number of these from breaking booklets into singles, so if any customer would like an example, add a note to your next order and ask for one. If I have them available, I will include one in your order, free of charge of course. 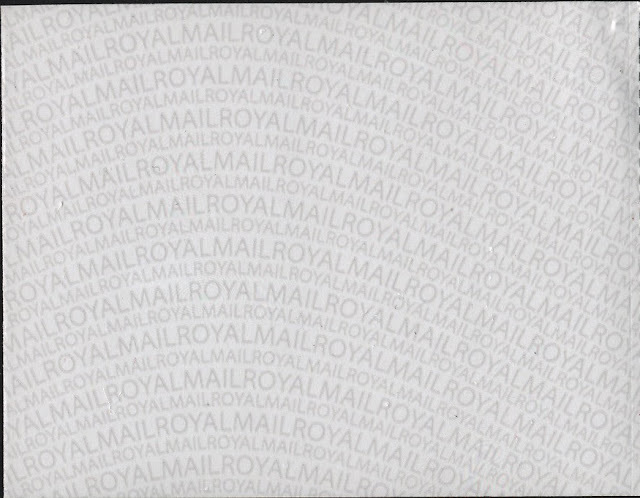 A number of customers have already used them in their albums or stockbooks to provide a ready illustration of what is under the stamps, but I still have 11 as I write, and as more booklets are split into single stamps, so I will have more spare covers.